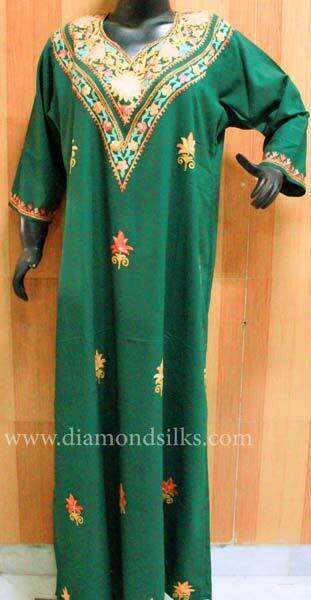 Diamond Silks” presents an extravagant collection of Embroidered Kaftans. 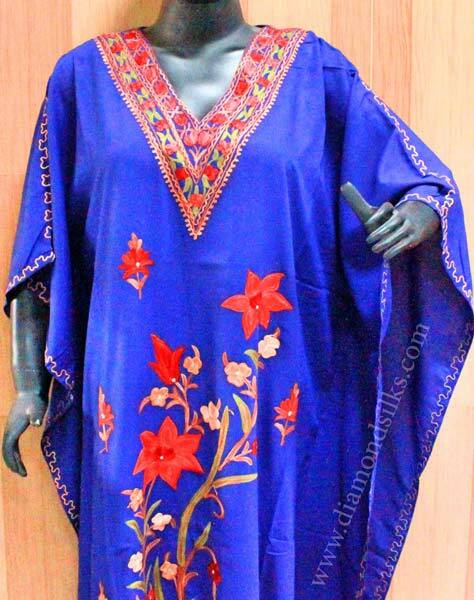 Whether these are printed ladies caftans or Embroidered Embroidered Kaftans, our collection exhibits brilliant craftsmanship of the well-versed designers. 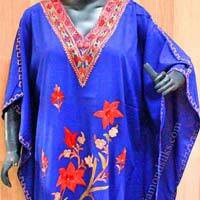 Nice fitting and fine quality fabric make them a comfortable outfit. 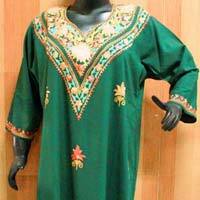 These are designed keeping in view the taste of all sections of women of all age levels. 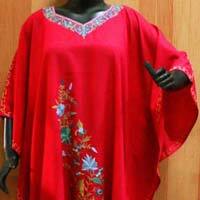 Consequently, we stand among the leading Embroidered Kaftans Manufacturers in India. 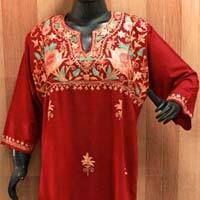 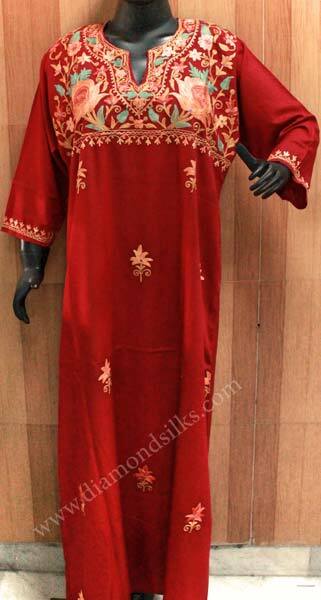 We are also among the prominent Exporters of Embroidered Kaftans from India.